1. Wash the scallops then immerse them for an hour. Keep the water used to immerse the scallops. 2. 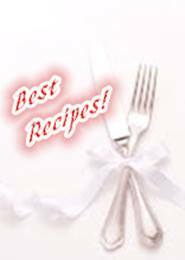 Put the washed rice in a big pot, add 2 litres of water (including the scallop water from step 1), the scallops and oil. Bring to boil over a high flame. 3. 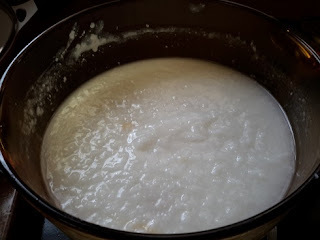 Once it starts boiling, lower the flame and continue to cook for about 40 minutes or until the porridge is smooth. Add in salt according to taste. 4. 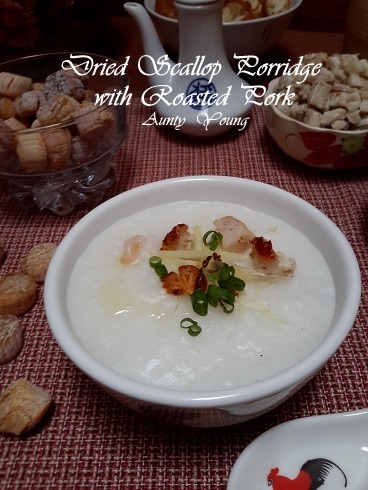 To serve, put some dived roasted pork into a small bowl, scoop in some porridge, drizzle some fried shallots with the oil and scatter the condiments on top. Serve warm. 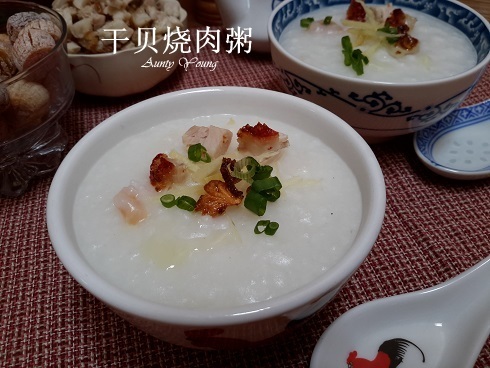 ~ When the porridge has boiled, lower the flame and open the lid of the pot slightly to prevent the porridge from overflowing. ~ Stir the porridge every once in a while to ensure it doesn't burn. 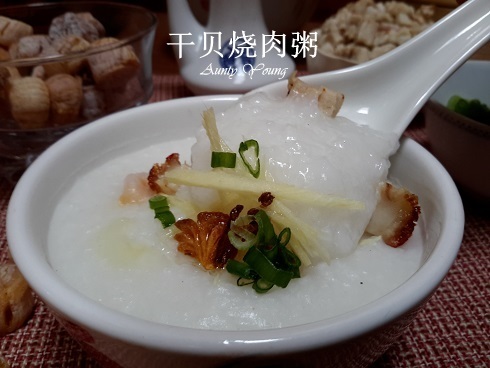 ~ If the porridge gets too thick for your liking, add some water and stir it while cooking. ~ The yao cha guai and salted egg is added according to personal preferences. 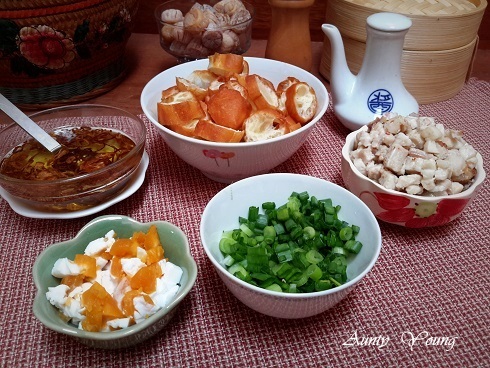 This post is linked to the Best Recipes for Everyone August 2015 Event (Theme: Dim Sum) organised by Fion （XuanHom's Mum Kitchen Diary) and hosted by May (厨苑食谱）. Silky smooth. 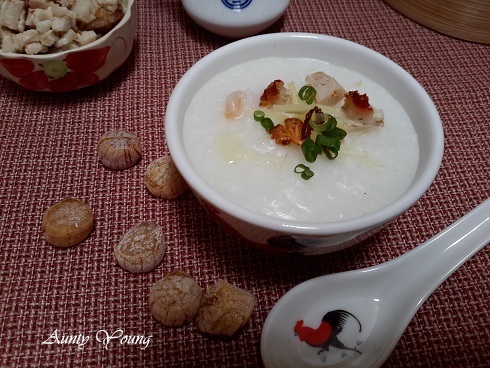 .. 1 bowl of your yummy-licious dried scallop porridge please ^-^! 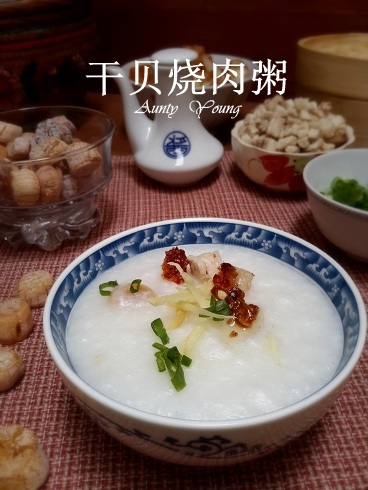 Wah, Aunty Young! 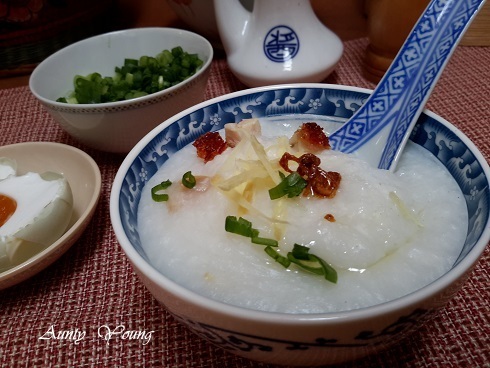 This porridge very "ho liao". Got scallops and my favorite siew yoke!